The transmission of information to and from the brain is carried out by relaying electrical signals through the neurons. Neurotransmitters are responsible for the facilitation of these electrical transmissions but, just like other body processes, the transmission of electrical signals is also susceptible to problems. When electrical activity problems occur on a few neurons, petit mal seizures occur but when it affects a large part of the brain, the condition is called grand mal seizures. In grand mal seizures, the person losses consciousness and exhibits violent muscle contractions. These usually last for about 5 minutes, and if the seizures have been going on for more than 5 minutes, it is advised to seek medical help immediately. Anti-convulsant drugs are administered for the treatment of grand mal seizures but, unfortunately, they can cause nutritional deficiencies by interfering with the absorption of certain nutrients. In order to address these deficiencies, patients are required to take nutritional supplements. Supplements of vitamins, minerals, and certain hormones are very beneficial because they not only replenish the body’s nutritional needs but also control the occurrence of seizures. Vitamin B6 – As early as 1950s, it has already been observed that deficiency in Vitamin B6 caused convulsions to numerous infants. It was reported that upon the administration of Vitamin B6 supplements, the seizures stopped. Studies also show that patients with seizure disorders have a high Vitamin B6 deficiency. For patients who respond well to anti-convulsant medications, Vitamin B6 dosage of 10-50 mg/day is recommended. Proper precautions should be taken during the administration of Vitamin B6 because high doses were found to reduce the efficacy of anti-convulsant drugs. Moreover, a dose of 500mg/day is known to have neurotoxic effects on adults. To work optimally, Vitamin B6 has to be paired with the magnesium. The mineral itself is believed to decrease seizure frequencies and cause improvements in a person’s EEG readings. Taurine – This substance inhibits the release of excitatory neurotransmitters and prevents the transmission of specific impulses. Thus, it hinders certain brain activities that can possibly cause grand mal seizures. The required dosage of taurine varies depending on the severity of the seizures but the range would be 200 mg/day to 21 g/day. Folic Acid – This supplement is essential for the proper development of the nervous system of embryos. Deficiency in this nutrient is primarily caused by the interference of anti-convulsant medications with the body’s folic acid absorption. Moderate doses of folic acid are excellent but studies show that very high doses of this supplement can affect the potency of anti-convulsant drugs. In a study of pregnant women with seizure disorders, dosage of 100-1000 mcg/day is enough to address folate deficiency without interfering with medications. Essential Fatty Acids – Fatty acids such as eicosapentanoic acid (EPA), docosahexanoic acid (DHA), and alpha-linoleic acid are determined to be very helpful in reducing the frequency as well as the severity of grand mal seizures. In addition, omega-3 fatty acids are also believed to have beneficial effects in controlling seizures although this fact has not yet been clearly established. 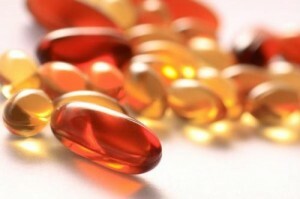 Omega-6 fatty acids from evening primrose oil, on the other hand, are known to worsen seizure disorders. Melatonin – Although some studies exist, the information about the ability of melatonin to effectively control seizures is still questionable. Studies obtained varying results with regard to the effect of melatonin on seizure frequency. Some patients experienced a decrease in the seizure frequency while others feel that their seizure frequency increased. Progesterone – For some women, the severity of their seizures worsens at certain times in their menstrual cycle. To address this, they are required to take progesterone lozenges of 200 mg thrice a day. In one study, most the patients responded favorably, with 72% claiming that they experienced a decrease in seizure frequency during the 3-month study period.